Of the list of things we try to protect our children from when we homeschool—drugs, violence, alcoholism, gang wars, sexual promiscuity, I think chicken pox and lice should also be up at the top, too! Unfortunately, our family has experienced both of these during our homeschooling journey. As if potty training twins, teaching my oldest to cook, and showing our kids how to garden weren’t enough excitement, we had to add these two to our list of extracurricular activities! At least we didn’t have both at the same time! I always thought lice were something that happened to “other people’s kids.” Helping mine not have their self identity destroyed when they contacted it was quite a challenge. The older ones kept wondering if they hadn’t been taking long enough showers or using enough soap. The younger ones just couldn’t understand why we soaked their heads in olive oil and made them wear shower caps for several days in a row. After more than two weeks of repeated soaking, combing, and washing hair, the lice almost won. Homeschool moms don’t give up though! I was determined to conquer these little vermin! One good side benefit of this experience is that it gave us lots of reading time together, helped us learn how to be more compassionate toward one another, and made for some really funny pictures! Thankfully, we survived the lice episode with our scalps and our self-esteem intact. Then there’s the bout of chicken pox which is no fun either. I remember our youngest was only 6 months old when my husband Chris and I brought him with us to a lawyer’s conference in an exotic location for a long weekend. Chris was working while I was relaxing on the beach with a nursing baby; talk about a nice break for a busy homeschooling mom of seven kids 10 and under. When we got home, however, my dear mother-in-law (who’d been watching our six other children), greeted us anxiously and informed us that some of the kids had chicken pox. She literally stood in front of the doorway and barred us from entering the house! Her strong reaction stemmed from the fact that Chris had never gotten chicken pox as a kid, even though he’d been exposed a few times throughout his life. Getting it now, since he had MS, could be life-threatening. Ardie had never gotten it either, so we were encouraged when both she and Chris were tested and told they were immune. Realizing he was safe, Chris jumped in and helped me with our sick children. Contrary to the test results though, Chris got a horrible case of chicken pox, along with all seven of our kids. At its worst point, Chris was literally paralyzed for three days. When he came through that really scary time, he was never again able to walk without a limp, and he had to use a cane shortly after that from which he never recovered. It was the real beginning of his downward decline with MS the next 11 years. 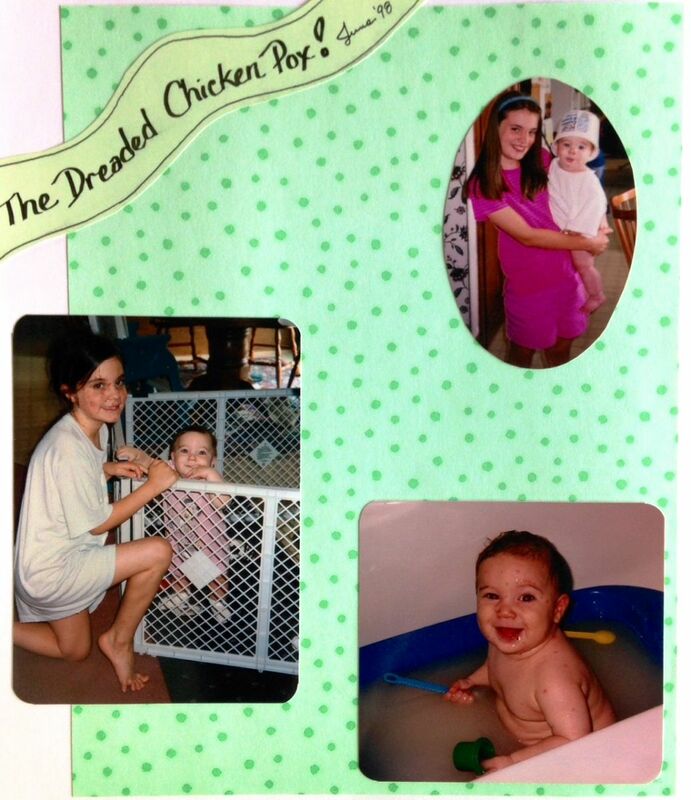 Interestingly, Chris’s mom never did get the chicken pox. Looking back at these two episodes, we certainly wouldn’t have written the story this way. Who would? Yet, God was with us through it all, and used the ugly, inconvenient, scary moments to remind us we were safe in His hands. He wasn’t about to abandon us for even a moment of our distress. And we learned on a deeper level, that homeschooling isn’t about avoiding all the messiness of life; it’s about depending on a good, loving, powerful God who is with us every step of the way through the mess, working all things together for our good. Photo Credit: All photos by Tracy Klicka MacKillop.